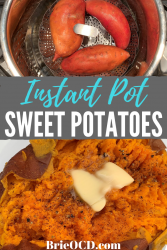 Instant Pot Sweet Potatoes! Easy and delicious! Sweet potatoes are a starchy root vegetable that are full of fiber, vitamins and are good for inflammation. They are also naturally gluten free and vegetarian! Definitely add these babies to your diet! (of course in moderation!) Click here to read all about the benefits of sweet potatoes! 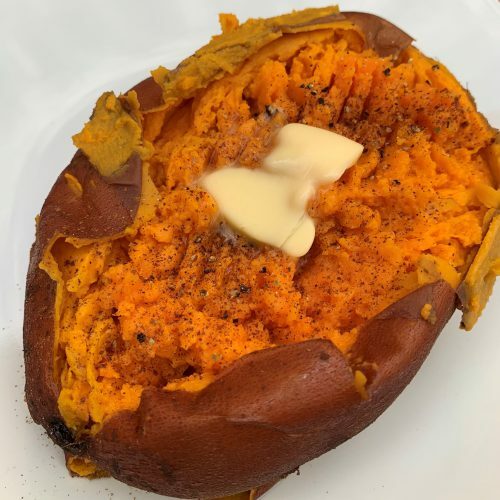 Before the Instant Pot came along I baked my sweet potatoes in the oven. Heck I still do if I want to multitask! 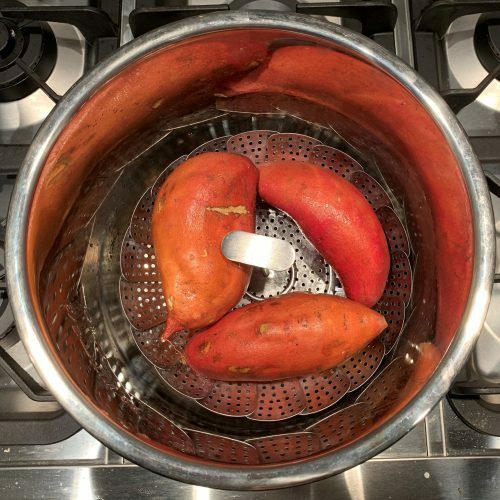 Click here for how to bake sweet potatoes in the oven! 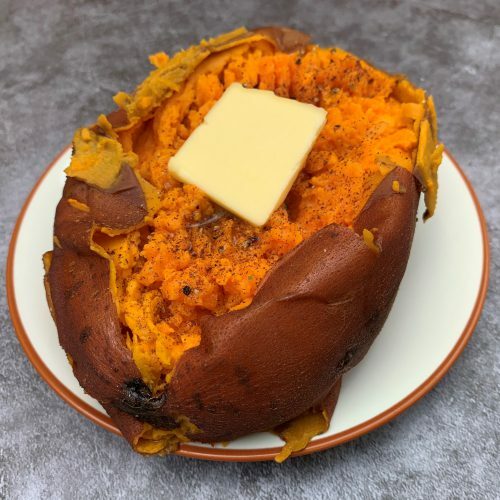 However, I was going to make my Shredded Chicken Stuffed Sweet Potatoes and I said let me try this in the Instant Pot. It was a bit of a learning curve, timing wise, BUT I did a couple test runs with different sized potatoes and they came out GREAT! 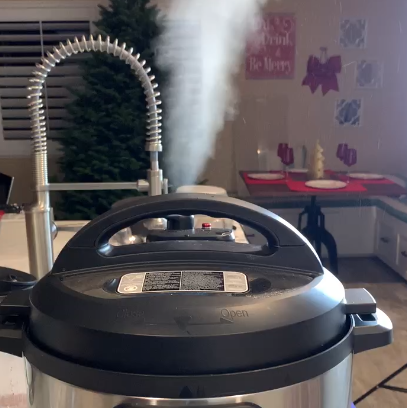 All you do if put the steamer rack (that came with instant pot) OR a steamer basket (click here to view mine – it’s just ok), 1 cup of water and the potatoes into the instant pot and voila! I have included some times in the recipes for different size potatoes. For potatoes around 8 oz (or less) set the IP on high for 15 minutes. If they are around 10-12 oz set the IP on high for 18 minutes. If the potato is around 18-20 oz set the Instant pot on high for 40 minutes! It took me a few tries to get this right but at the end of the day, more time is better than less. 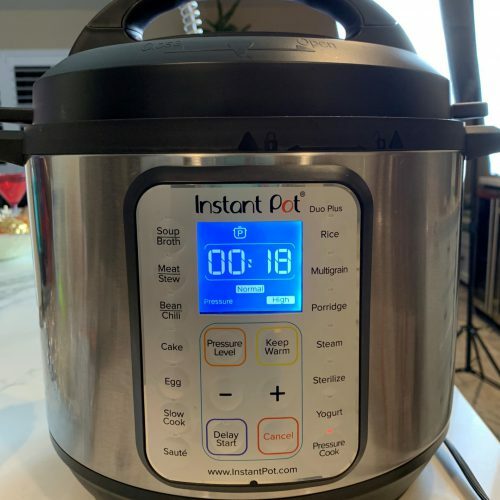 All methods use a 10 minute natural release which means you let the Instant pot go into warm mode and let the steam release naturally for 10 minutes. At the end of the 10 minutes, press cancel and release the rest of the steam. 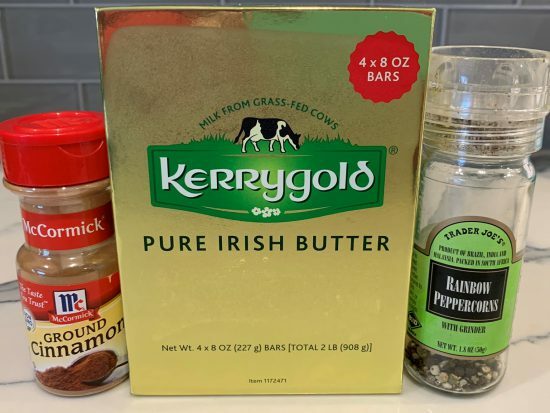 Sweet potatoes are so tasty with some grassfed butter (like Kerrygold), a sprinkle of ground pepper and cinnamon! DEEEEELICIOUS! You can also add Greek yogurt (instead of sour cream), green onions or whatever else you like on a sweet potato! If you want to really spice things up add some buffalo shredded chicken (click here for the recipe). I do a lot of things with sweet potatoes! You can make them into buns, make pulled pork sammies, sweet potato fries, sweet and spicy chili. You name it! I hope you enjoy this simple yet flavorful and healthy root vegetable as much as we do! place steamer basket or rack in bottom of instant pot. fill with 1 cup of water. wash sweet potatoes so they are clean. 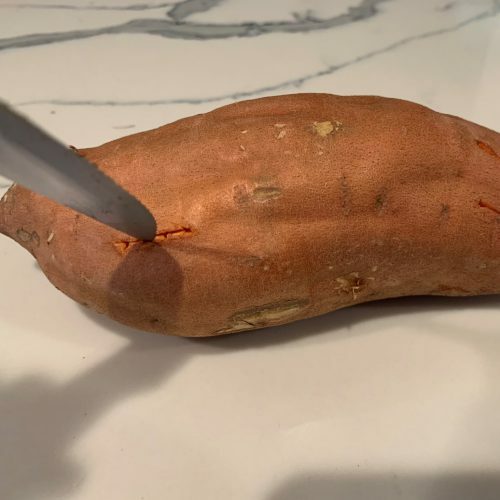 poke holes with a knife or fork around the sweet potato. 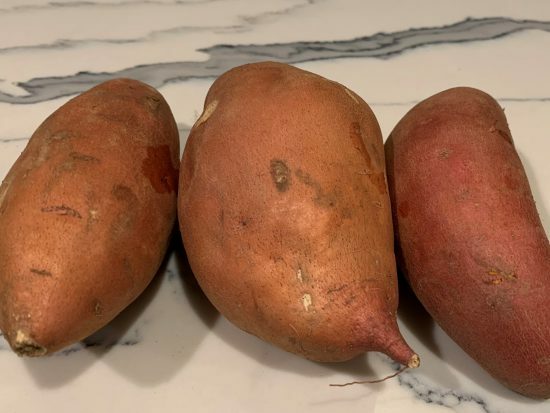 place sweet potatoes in the instant pot. put cover on and make sure vent is set to sealed. when cooking time is done, use the 10 minute natural release method. let IP go into warm mode and sit for 10 minutes. then press cancel and release the rest of the pressure. slice lengthwise down the middle. top with grassfed butter, ground pepper and cinnamon. Yum! Do I need an instapot – I do everything the #oldfashioned way.